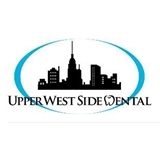 Upper West Side Dental (New York) - Book Appointment Online! Our Office Upper West Side Dental was founded with the vision of creating a dental practice that treats every patient with dignity and first-rate care. The dentist and office staff at Upper West Side Dental are highly-trained and exceptionally friendly. We understand that for many, visiting a doctor can be a stressful experience. Our comfortable surroundings and compassionate dental professionals will ease your fears. It was great! Dr. Shirley is very professional and has a good bedside manner.